Spring is coming and so are all the cherry blossoms. This exquisite, pink Japanese flower symbolizes the delicate nature of life and represent purity and beauty. 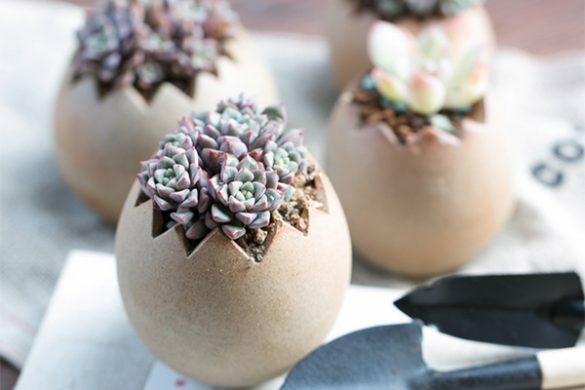 Besides exemplifying the sacredness of life, these delicate flowers are loved by people from all backgrounds and they’re the perfect spring addition. 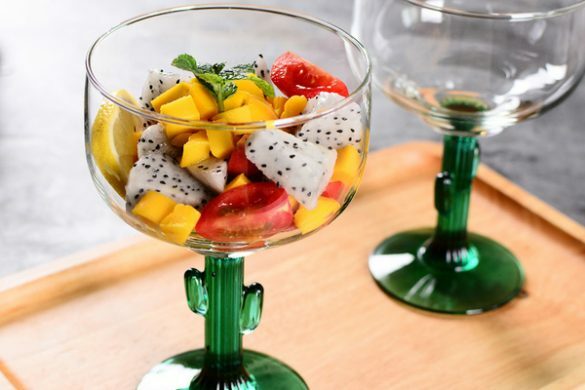 Whether it’s cherry blossom jewelry, cherry blossom home decor or cherry blossom kitchenware, any cherry blossom product will bring more of nature’s beauty to your life. If you’re a lover of cherry blossoms, then read on to see the 11 Cherry Blossom products you need this Spring. 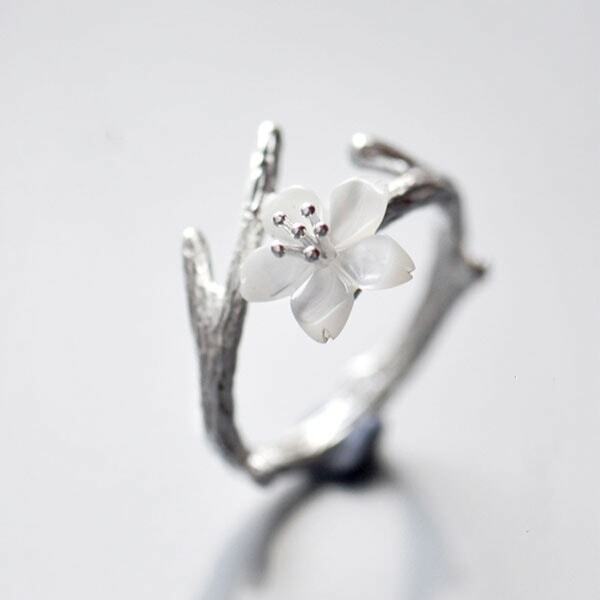 Out of all our jewelry cherry blossom products, the White Cherry Blossom Silver Ring is the most captivating. This delicate ring captures the beauty, charm and grace of the Cherry Blossom. The pearly luster and silvery sparkle of this fashion ring will attract glances from across the room. It’s a beautiful accessory that enhances your everyday style! Wear our Cherry Blossom Necklace to remind you of the beautiful unexpected turns that life has to offer. This vintage style pendant necklace is sweet and regal at the same time. 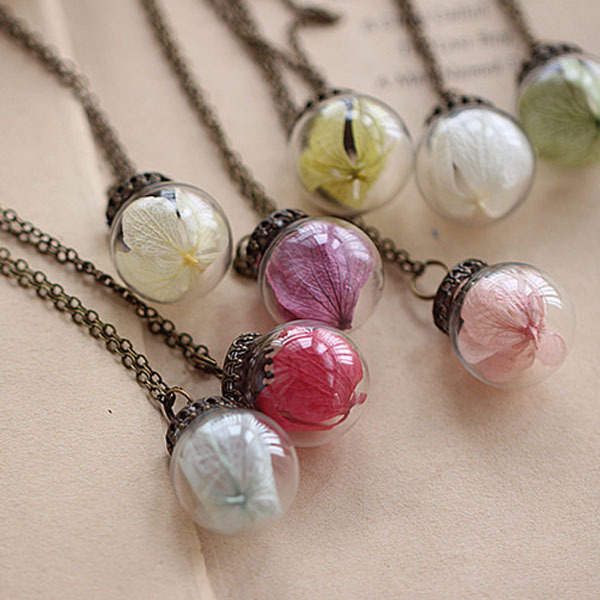 It holds a real cherry blossom and each necklace is a handmade, one-of-a-kind treasure. It’s an elegant cherry blossom product that anyone would cherish. These delicate Japanese folding fan earrings showcase a beautiful Sakura (cherry blossom) design with gold metallic overlay. They create a beautiful look that you can wear from daytime to nighttime. 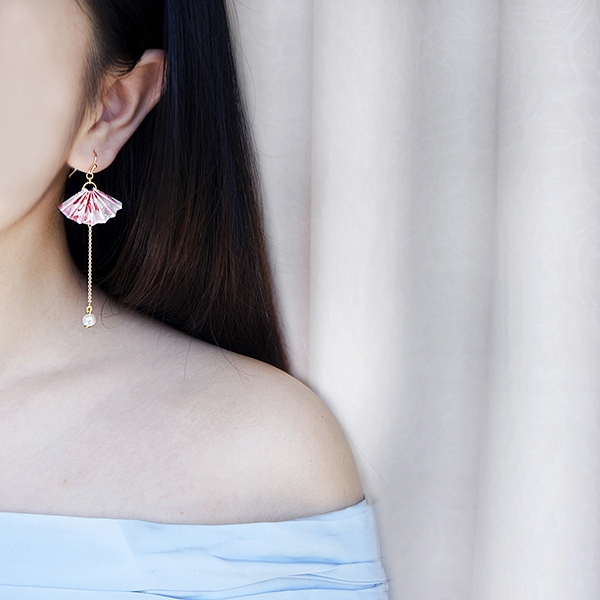 Wear the pair that features two Sakura Fan’s and a lustrous pearl, or be fashion forward and flaunt one single Sakura Fan Earring. 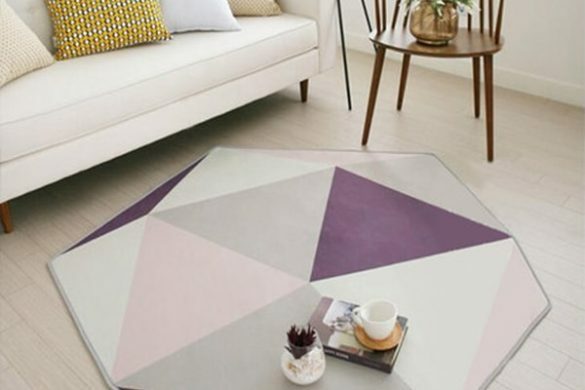 Both style choices exude the spirit and fragrance of Spring. 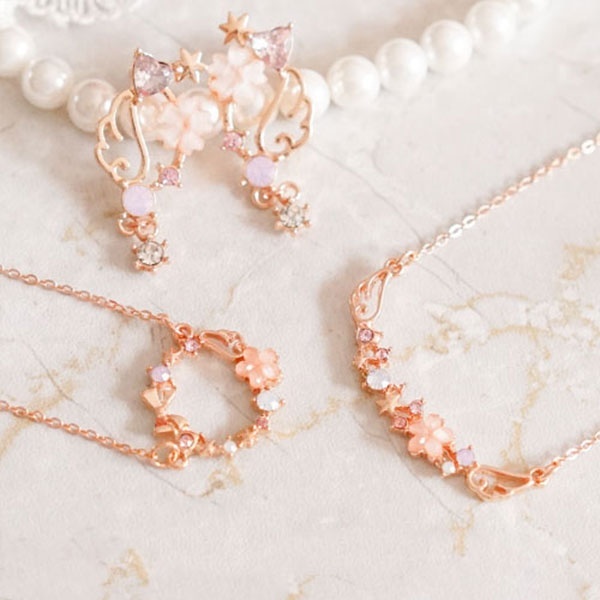 Dainty and delightful, the cherry blossoms, angel wings, hearts, bows and stars in this sass jewelry set rendezvous together. These magical pieces bring a wonderfully whimsical touch to your jewelry collection. It’s the perfect gift for someone who likes to add a little extra pizzaz to their outfit. 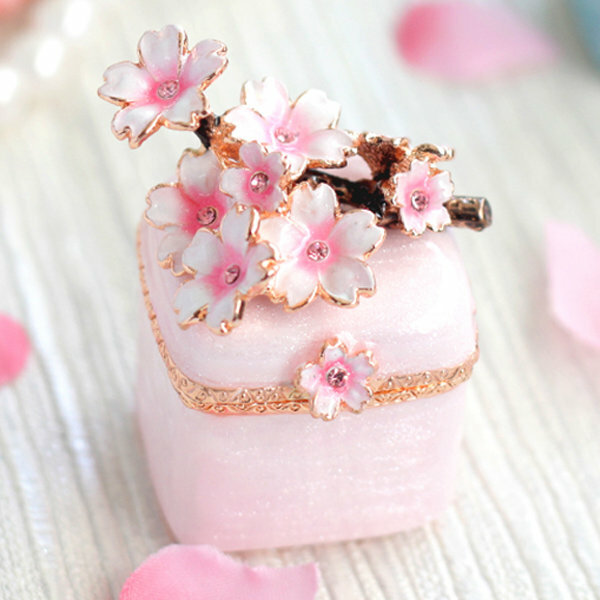 Enjoy cherry blossoms all year long with this oh-so-delicate PIEARTH Sakura Jewelry Box. 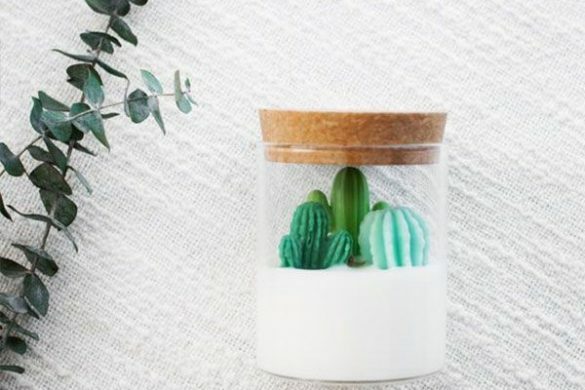 Showcasing beautiful branches that are brimming with blossoms, you’ll want to show off this gorgeous jewelry box to all of your friends and family. With a hinged top and magnetic closure, the PIEARTH Sakura Jewelry Box will keep all your treasures safe and in one place. 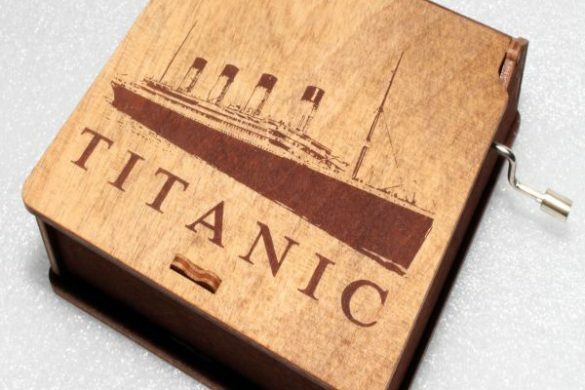 It’s also the perfect engagement ring box or bridal shower gift for new bride-to-be’s! Add more dining cherry blossom products to your home and set the table in springtime splendor! 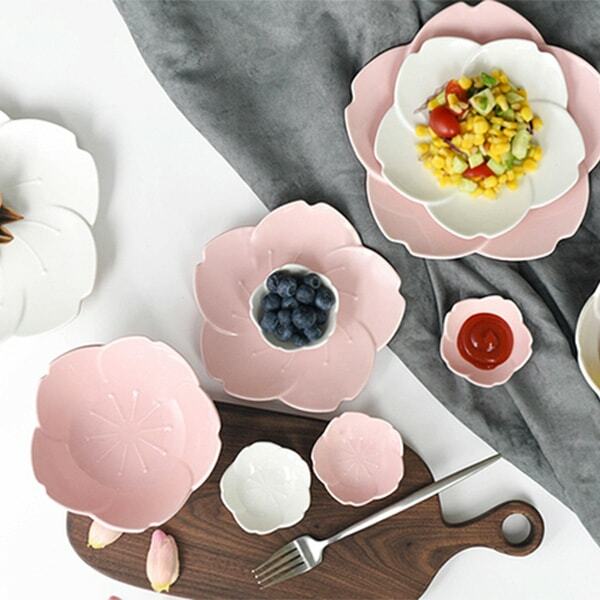 These elegant Sakura saucers, bowls and plates mix and layer beautifully for a garden-inspired table. Present dainty tea sandwiches, tarts, mochi, or whatever your palette desires on this enchanting set. Start your collection today! Searching for the perfect Cherry Blossom product for a sake lover? Then surprise them with this classic Japanese Ceramic Sake Set. 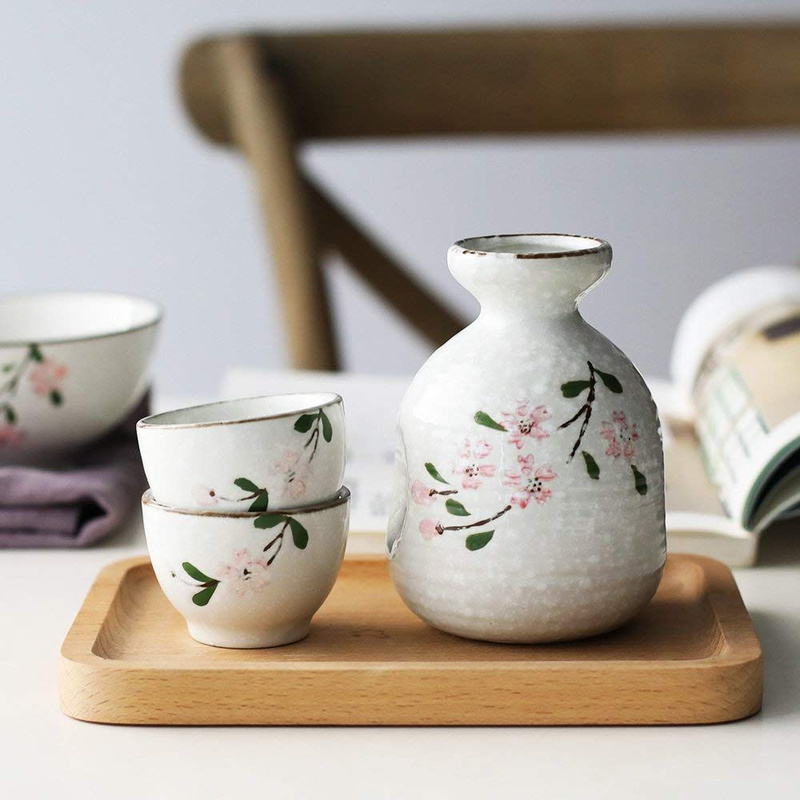 This handsome sake set showcases a beautiful hand-painted cherry blossom design on the pitcher and cups. 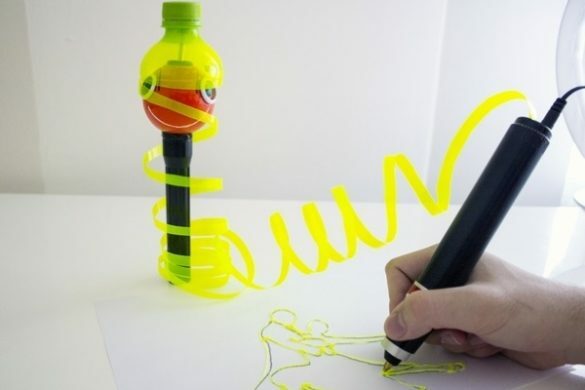 It’s an eye-catching addition to any table. Tea time becomes your favorite time with these organic Japanese tea cups. 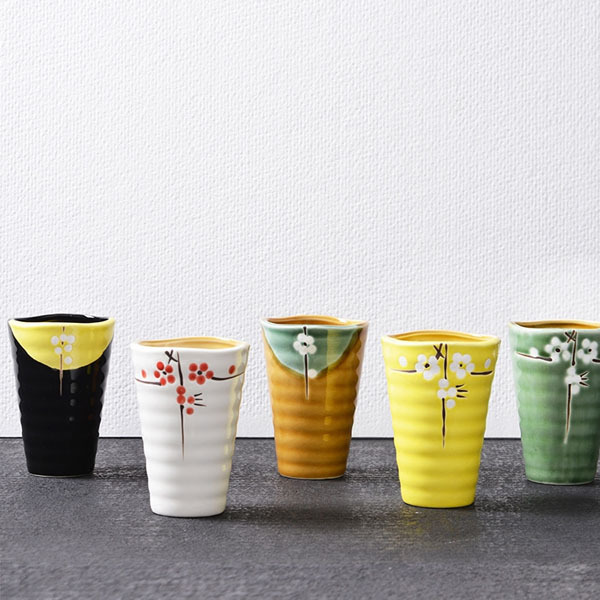 With earthy colors that dip in and out of the cup and hand painted cherry blossoms, these tall ribbed cups add instant serenity to your morning coffee or afternoon tea. 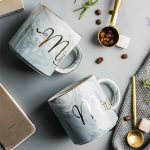 If you want to find more cherry blossom products that are pretty and functional, then these are the cups for you! Can you say beautiful bento? 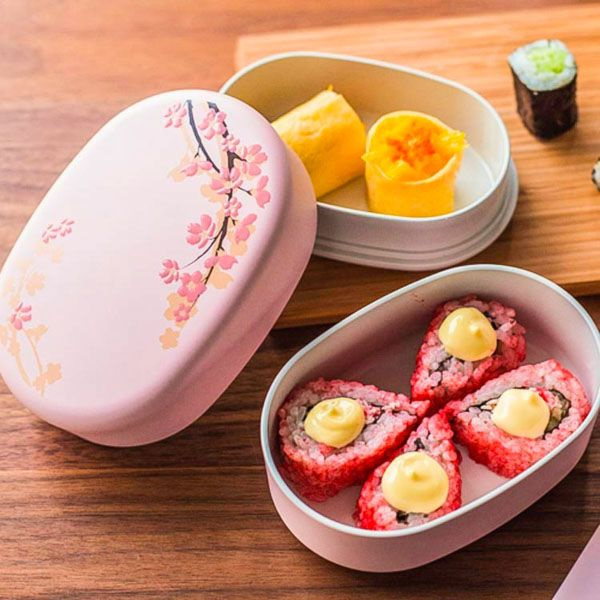 Our HAKOYA Sakura Bento Box is an elegant and easy-to-pack lunch box that can hold all your delicious meals. 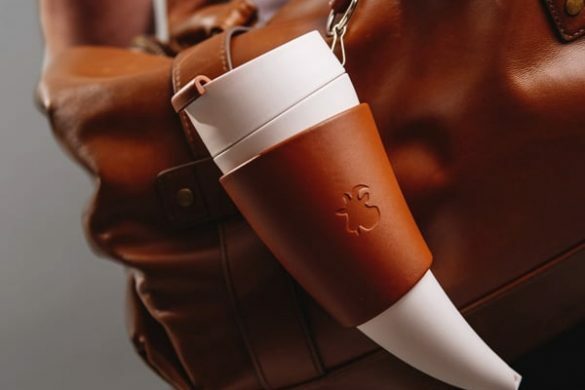 It has two separate layers so you can pack all your favorite foods. 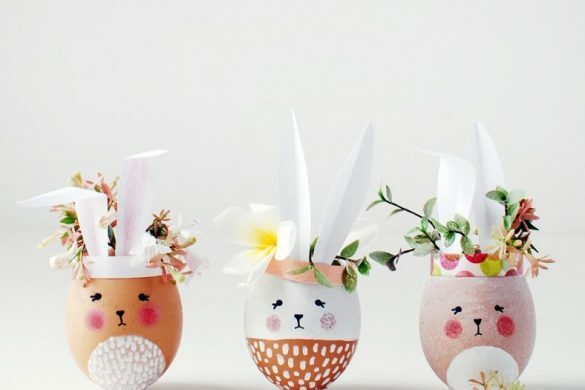 Cherry blossom products that bring Spring into your home are the best kind of products! 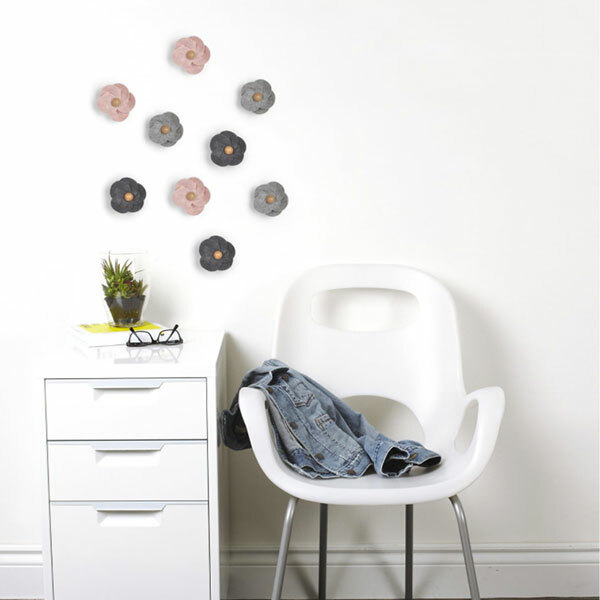 Dress up your walls and add some texture to your home with these sweet cherry blossoms. Our cherry blossom design includes 9 wood and felt flowers that will enhance a bedroom, bathroom or home office. This Floral Wall Decor is an eye-catching dimensional wall art that anyone will appreciate. 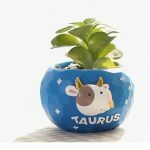 Want to see more unique and sweet Cherry Blossom products? Click here and enter Cherry Blossom heaven!